For your notation, please consider : Design, Functionalities and if you find it user friendly ! Poll opens to forum guests ! 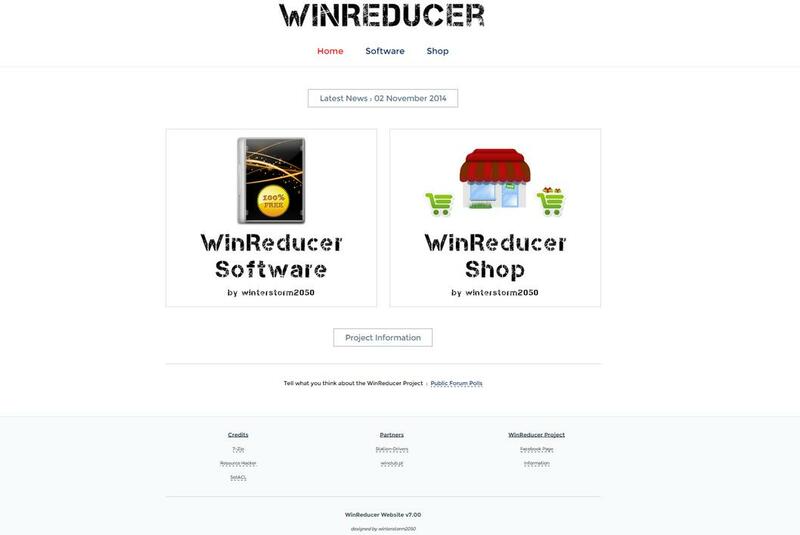 Re: *OPENED* What do you think about the new WinReducer Website (v7.00) ? The page layout is now much faster, thanks. By the way, is someone using a "smart-phone" (Apple, Samsung, ...) to consult the WinReducer website ? I'm really interesting to know how it works ... because unfortunately I do not have one ... and it's not a joke ! as other tells, now the page loading is faster. but the forum font size should be increased. It's very clear structured and with the white background it looks professional and the text is much easier to read than before - I like it . On the smartphone the website is loaded amazingly fast. It seems as I could use the forum also on the way. Thank you very much for your feedback on both computer and ... smartphone ! to be honest I do not ember the old layout . I like the web-site a lot easy to work with. I think cool background on main site would look pretty neat my option.